This entry was posted on June 11, 2014 by raberry65. It was filed under Barbie, OOAK Barbie, Silkstone and was tagged with Bogue's Vogues, Dimitha, Doll Diorama, Doll Photography, Inside the fashion doll studio, ITFDS, Jon Copeland, OOAK Barbie, OOAK Silkstone Barbie, Rebecca Berry Photography, Repainted dolls, SeloJSpa, Suite Retreat Silkstone. 🙂 Thank you my dear. Working with natural light today since….WE HAVE SOME. LOL! Thank you Lori! I am glad you liked her. Anything Jon does is stunning. Wow I did not realize I was copying Hilda’s comment! I guess fantastic, beautiful, amazing, outstanding, gorgeous, wow oh wow-did not capture the essence of this creation-but stunning did!! Rebecca! She is gorgeous! Her eyeshadow is stunning!! Lucky you! !’ Oops. I said “stunning” too!! You are an artist! Awesome work! 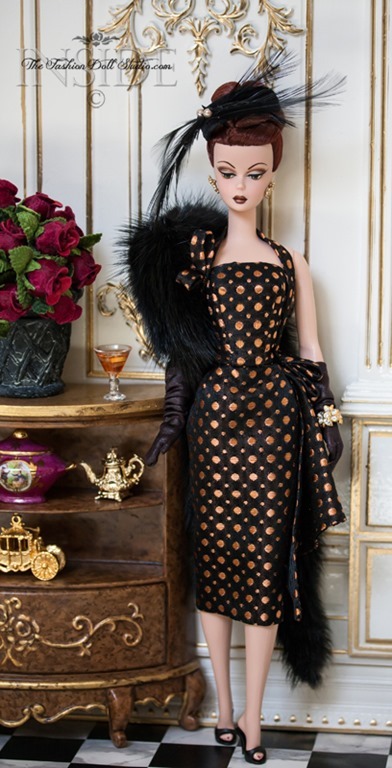 Oh my gosh…the Suite Retreat Barbie redo by Jon Copeland is spectacular!!! Wow, this is a Silkstone goldmine, I never loved her look, but I sure do now!